In the wake of Sunday night’s shooting massacre on the Las Vegas Strip, hotels and casinos are looking to maintain as much of a sense of normalcy as possible while simultaneously ramping up security to keep employees and guests alike as safe as possible. The New York Daily News reports that while many in the hotel and casino industry have historically been reluctant to subject guests to anything that might unnerve them, two security guards and a police officer were seen at the Wynn Las Vegas randomly scanning visitors with a metal-detecting wand and checking bags. R.J. Cipriani is a professional poker player who’s gambled around the world under the nickname Robin Hood 702. He told the Daily News that he has been trying to convince top casino executives to increase security ever since 9/11, but until now it has fallen on deaf ears. On Sunday, Stephen Paddock, 64, opened fire from two windows in a room on the 32nd floor of the Mandalay Bay Resort and Casino and rained bullets on a crowd of more than 20,000 people who were gathered for the Route 91 Harvest Country Music Festival being held on the street adjacent to the hotel. He killed 58 people and injured more than 500 others. 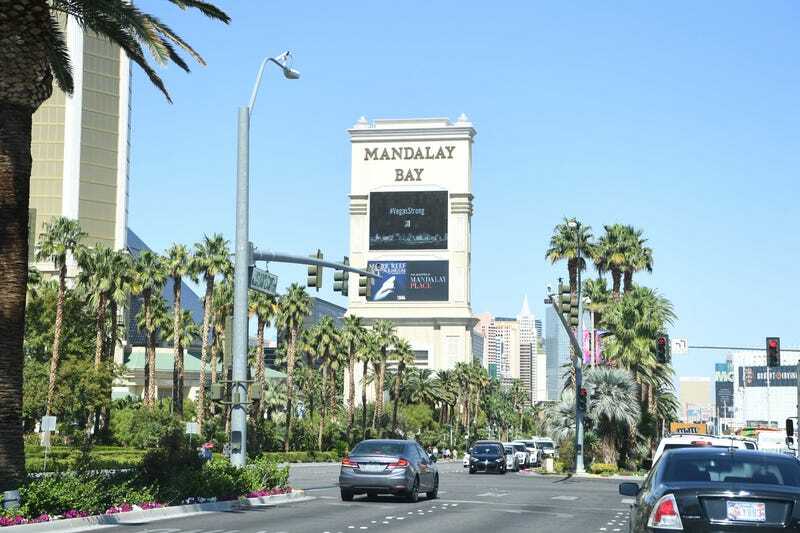 According to the Daily News, while Mandalay Bay has increased its security presence, as of Wednesday, bags were not being checked, and there were no metal-detecting wands being used at the entrances. Lamont Brittingham, a current guest at Mandalay Bay, told the Daily News that he feels safe in the hotel. He said that there are uniformed security guards checking room keys prior to allowing guests to access the hotel’s elevators. Meanwhile, the head of the Las Vegas police union told the Daily News that securing casinos may not be feasible. Right now, vehicular and foot traffic has been stopped from entering the main entrance to Mandalay Bay.